metro, regional and country Australia – think M3 Logistics. 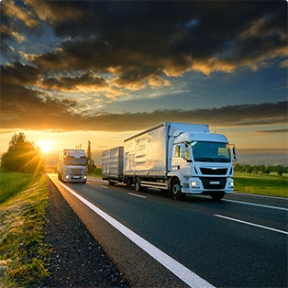 M3 Logistics provides a range of solutions for Australian businesses, including local and interstate transportation and flexible warehousing solutions. Our professional approach is based on communication and data-driven reporting systems that leave nothing to chance. Here at M3 Logistics, we take the time to listen to your requirements, respond to your needs, and deliver professional results in a timely manner. 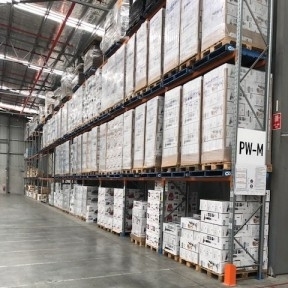 Our National company distributes goods all over Australia, with our sophisticated inventory control and reporting systems ensuring timely and damage free delivery. We provide both local and interstate delivery, specialising in home appliances and other big and bulky products. With nearly 100 dedicated drivers and vehicles across the country, we can make your life easier by servicing all of your transportation needs. We also provide a range of flexible warehousing solutions, with short and long-term storage both available in multiple locations. Our bulk storage and palletised racking systems are robust, flexible, and tailored to meet the needs of your business. Here at M3 Logistics, we provide more than just storage, with re-work activities and other solutions integrated into our services. With access to industry-leading technology and highly responsive customer service, M3 Logistics is dedicated to exceeding your expectations. M3 Logistics makes your life easier by providing solutions for your business. After listening carefully to your requirements, we initiate systems that are responsive to your needs and delivery timelines. Our logistics services are process-driven and based on ongoing communication with our clients. When you work with us, all issues are dealt with immediately. Instead of a call centre, you get access to an approachable and responsive team at all times. Our transportation services provide seamless delivery across metro, regional, and country areas. We provide a range of short and long-term storage and warehousing solutions, with bulk storage and palletised racking storage both available. While transportation and warehousing are the two cornerstones of our business, what we really offer are solutions. Whether you’re an established business or a new startup, we understand how important efficient transportation and storage systems are to your daily operation. Our services are both robust and flexible, with our delivery and warehousing solutions based on good inventory control, sophisticated tracking, integrated reporting systems, and open communication.